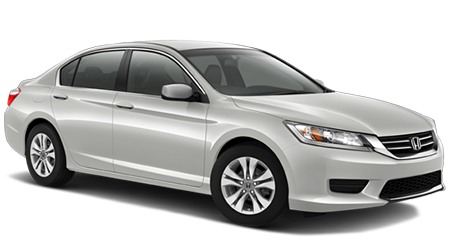 Picture being able to drive around Prince Edward Island (PEI) in a stylish midsize sedan that can fulfill all of your driving requirements. At Charlottetown Toyota in Charlottetown, Prince Edward Island (PEI), we’re delighted to house all of the latest Toyotas in stock including the 2016 Toyota Camry. Our dealership has proudly served PEI for a number of years as one of Canada’s premier Toyota dealerships. Stop by Charlottetown Toyota at 1 Superior Crescent and explore a new Camry today. Midsize sedans are some of the most versatile vehicles on the market today, so let’s see how the 2016 Toyota Camry does against the Honda Civic. If you’re interested in getting into a midsize sedan that can save you money on fuel, then look no further than the Camry. Both midsize sedans come with a four-cylinder engine and a larger V-6. The base Camry comes with a 2.5-L four-cylinder engine that can return 9.7L/100 km and 6.9L/100 km. In comparison, the entry-level Accord is equipped with a 2.4-L four-cylinder engine that can achieve a fuel economy of 10.1L/100 km and 6.9L/100 km. After exploring the new Camry at Charlottetown Toyota, we’re sure you’ll want to drive the vehicle everyday. To allow you to enjoy driving the vehicle and not have to worry about repairs, Toyota backs the Camry with an extensive warranty. The Camry comes with a 3-yr./60,000-km basic warranty, a 5-yr./100,000-km powertrain warranty and a 5-yr./unlimited-km corrosion perforation warranty. With the midsize sedan’s lengthy warranty, you can enjoy driving the Camry everyday. When it comes to getting into a stylish, modern midsize sedan that can fulfill your driving requirements, the 2016 Toyota Camry is an amazing option. With the Camry’s fuel-efficient powertrain and extensive warranty, the Toyota has the upper hand over the Honda Accord. Visit Charlottetown Toyota in Charlottetown, Prince Edward Island (PEI), at 1 Superior Crescent and test drive a Camry today.